I absolutely LOVE Mexican food. 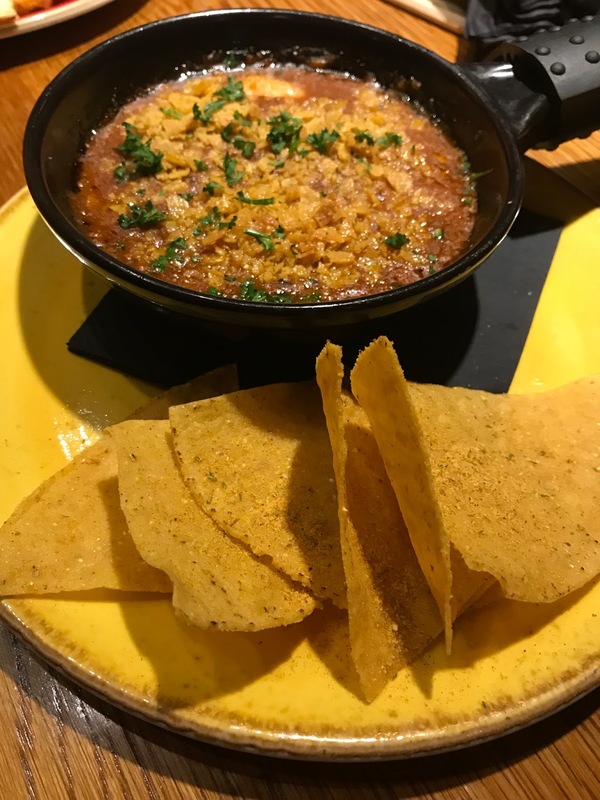 The salsa, the guacamole, the melted cheese - what's not to love?! 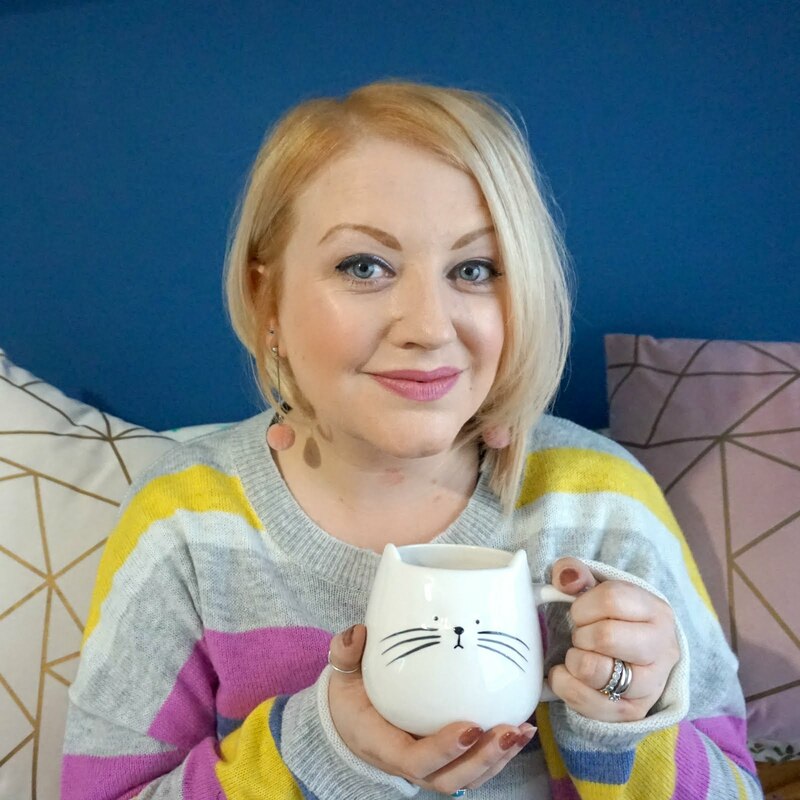 Seriously, if there's cheese, avocado and / or lime involved, I am there; this is my idea of food and drink heaven. 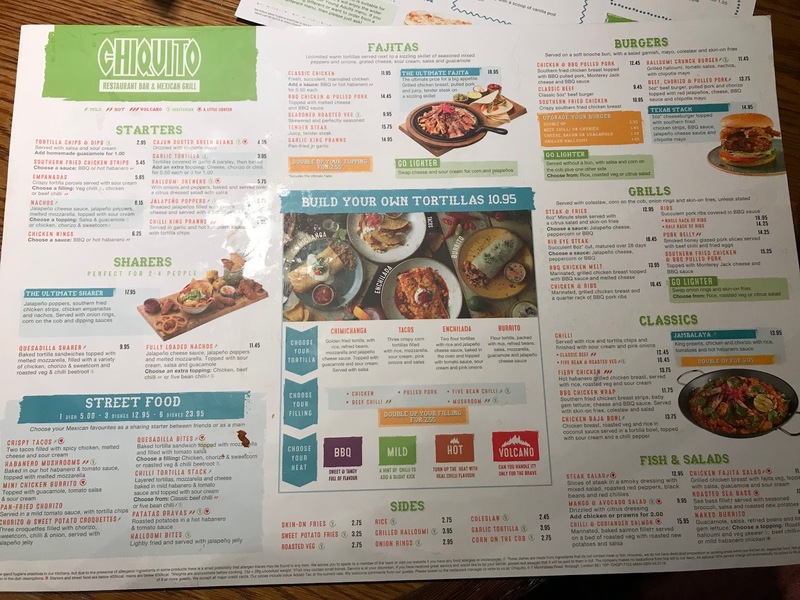 So, you can imagine how excited I was to hear about the new menu at Chiquito and how quick we headed down to one of our local restaurants, in Walsall, to try it for ourselves. 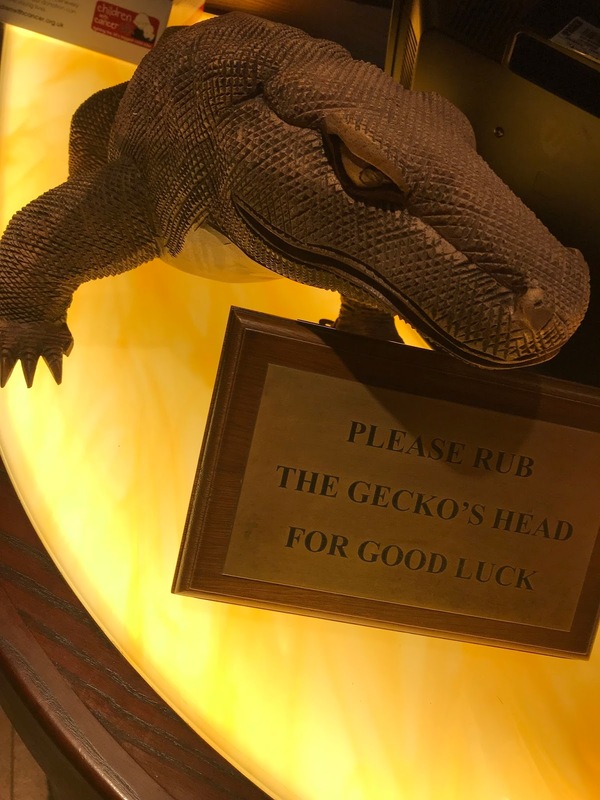 After patting the gecko on the front desk for luck, we were shown to a really nice booth and had a chance to soak up the atmosphere whilst waiting for our cocktails to arrive (it was happy hour, so we got 2 for 1 on their drinks (don't mind if we do!) 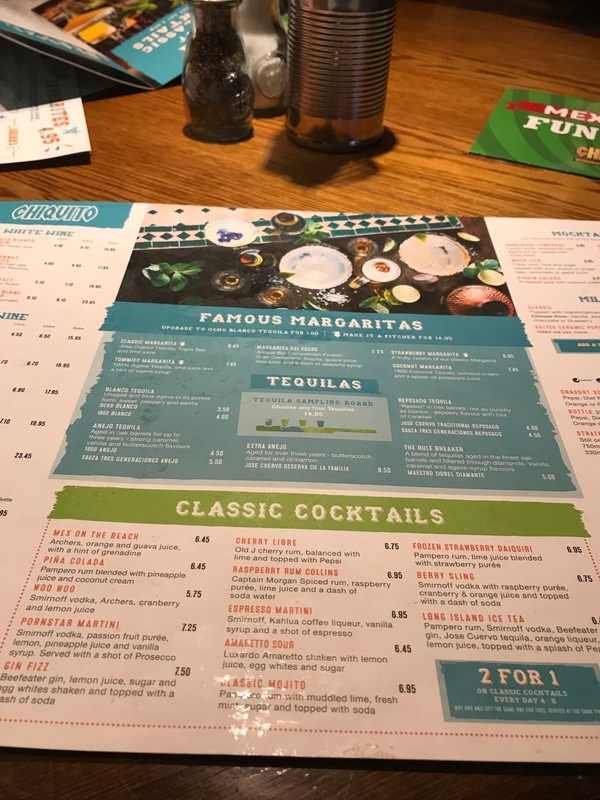 and what was really good was how you can pick two different cocktails to have in the offer). The menu was vast and it took a bit of pondering to decide what to have. I could have eaten it all. 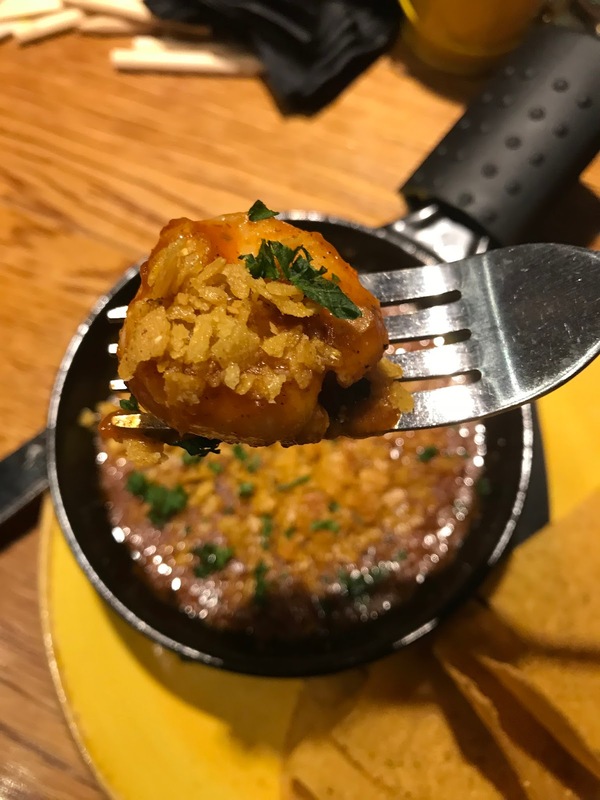 The new element of the menu is focused around Street Food tasting dishes - think tapas, Mexican style - and our mouths watered with the idea of halloumi bites, habanero mushrooms and crispy tacos. 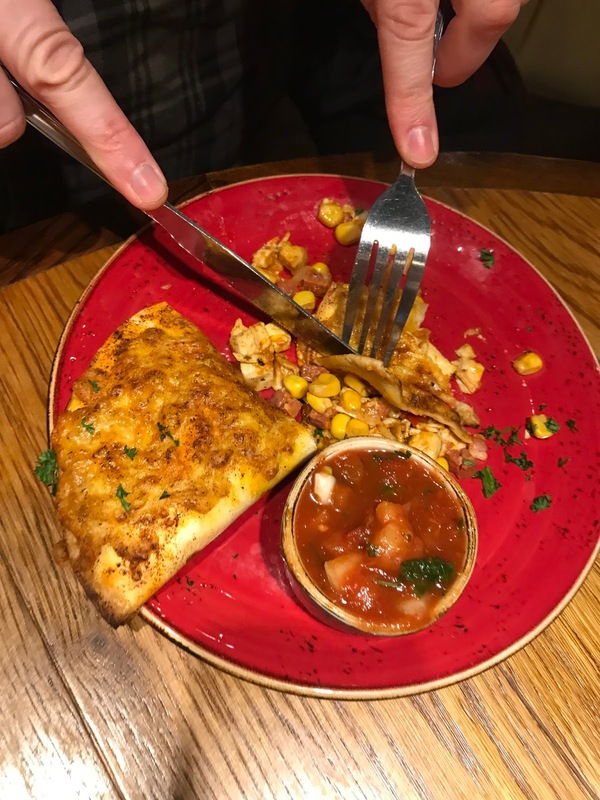 These were all £5 each, and hubs went for the chicken, chorizo and sweetcorn quesadilla bites, but you could have three dishes for £12. 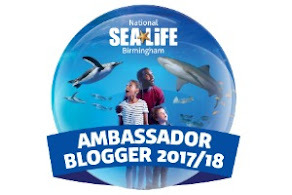 I had my eye on the garlic king prawns and was very pleased when they arrived as it was a different and delicious starter. Ethan had a lot of choice too and for just £4.95, kids get refillable juice (he went for pineapple), a choice of main and sides, plus dessert. 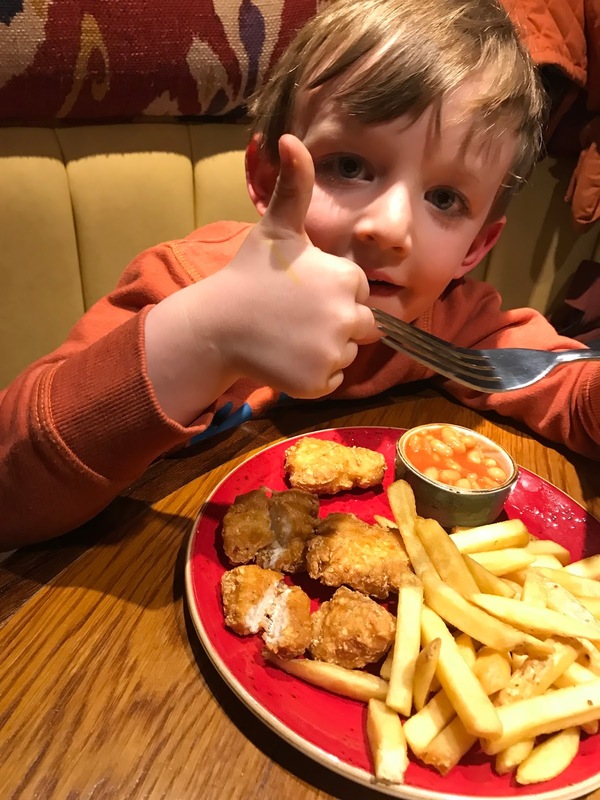 Ethan chose chicken poppers, skin on fries and beans, and later on devoured some chocolate ice cream. 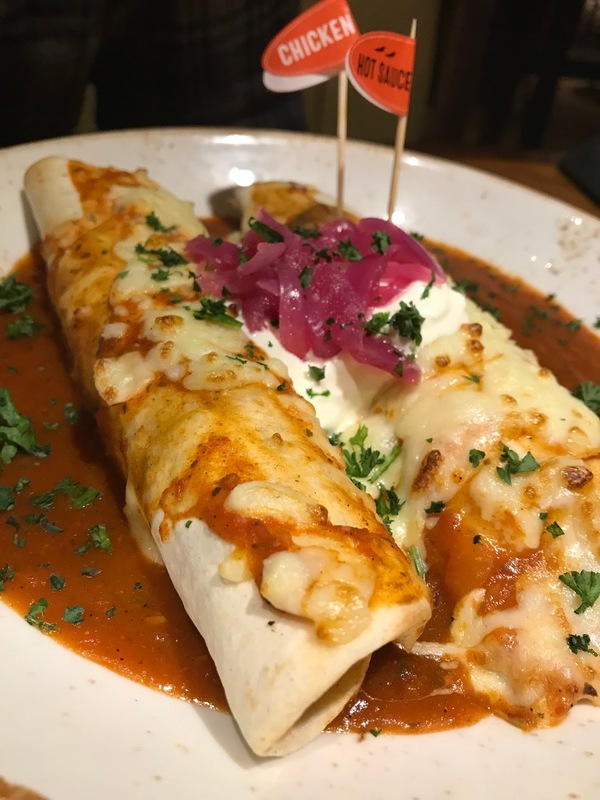 For our mains, Ste went for the chicken enchilada and I for the pulled pork burrito. On the side, we had sweet potato fries, skin on fries and grilled halloumi and it was all very tasty. Hubs wished he had gone for the 'volcano' heat rating on his chicken (he has a very high tolerance for spice!) and I could have done with a bit more sauce but overall, the mains were really filling and hit the spot. 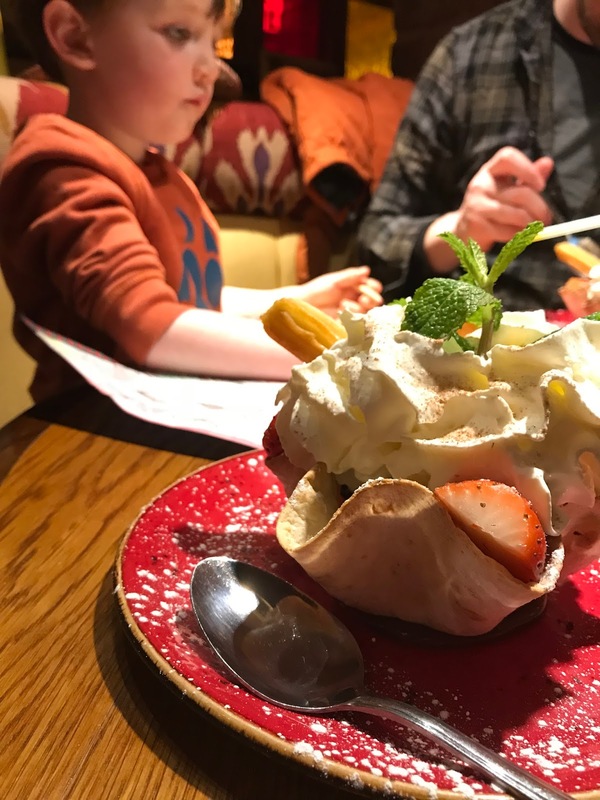 I don't know how, but we both found room to enjoy a Mexican Mess for dessert; Chiquito's version of Eton Mess, with churros, brownie, raspberry ice cream, strawberries and whipped cream served in a cinnamon baked tortilla. 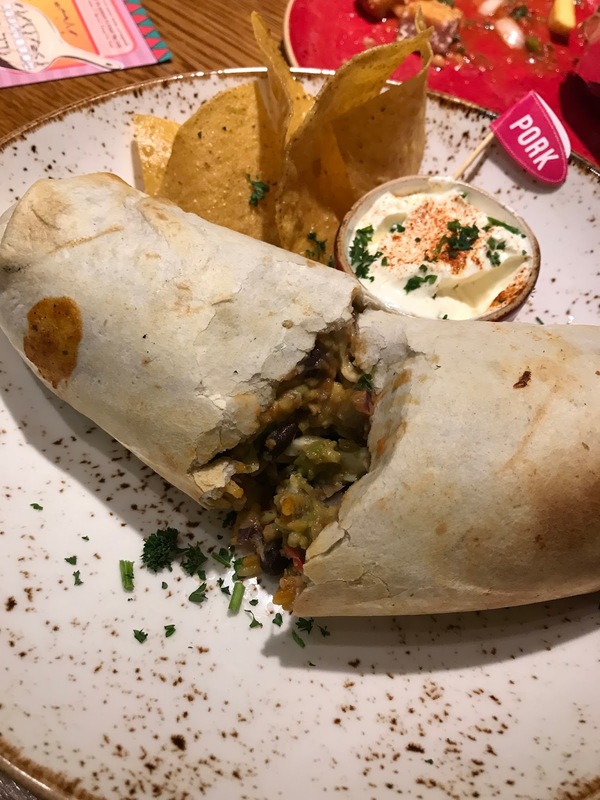 It looked very impressive, was actually quite light and went down well with us both, but the tortilla basket wasn't quite as nice (good for holding it all together though). 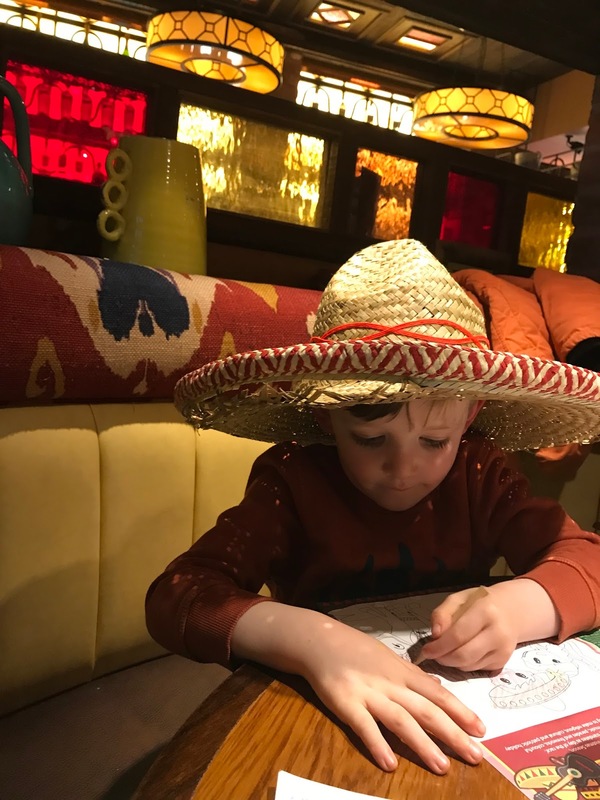 Our total bill came to around £70 which for a couple of rounds of drinks, Ethan's meal, three courses and sides thrown in, was pretty good really - it was a full on treat for us. 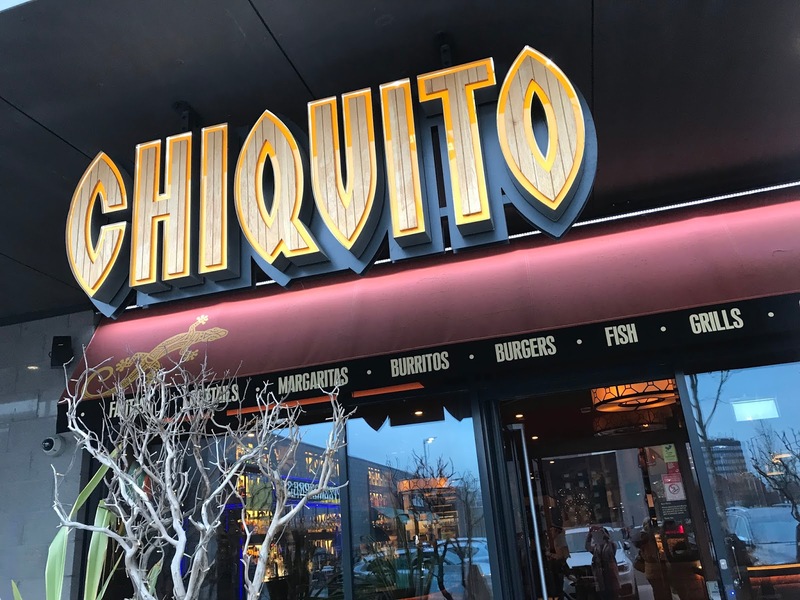 The service is excellent at Chiquito Walsall; the staff were welcoming and attentive, everything arrived in good time, with good pace but not too long left between courses, and the presentation and quality of the food was exceptional. I would highly recommend you visit your nearest restaurant if this is your kind of food. 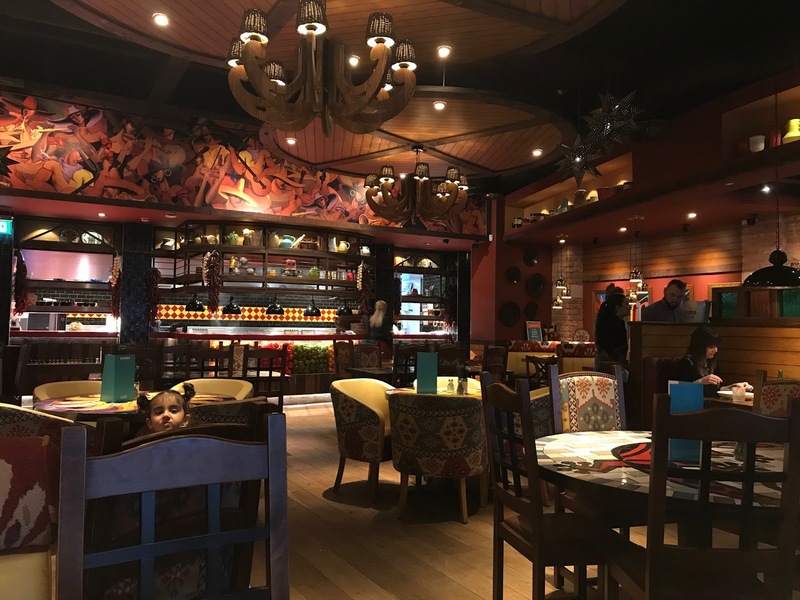 There is a wide range of choice, from salads and grills to all kinds of wraps, and the new Street Food menu makes for a really sociable dining experience - that is, if you are willing to share food! 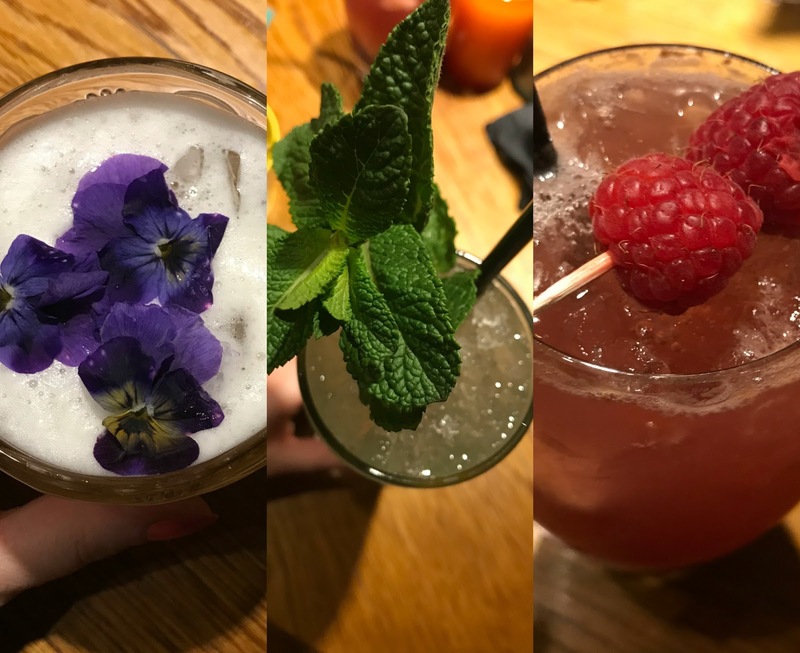 The cocktails were very well made and offered interesting and refreshing flavour combinations. 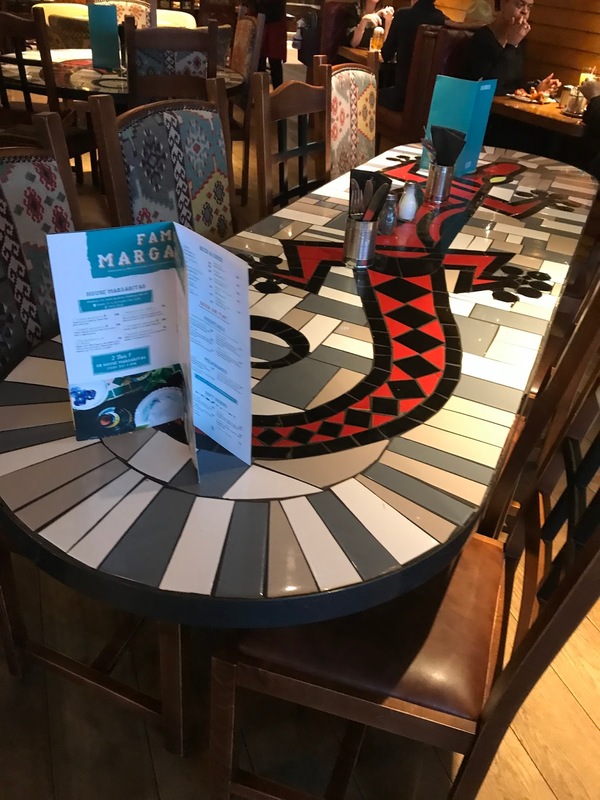 It is child friendly too so whilst it has a grown-up feel, it's spacious, you don't feel like you are sitting on top of people and every child receives a colouring and activity pack to keep them entertained. At the end of the meal, our receipt contained a £10 off voucher if we completed a quick online survey (more than happy to, as we had a really enjoyable visit) - but to be honest, we wouldn't need an incentive to return as it's such a nice looking and feeling restaurant and we are keen to try everything else on the menu next time. 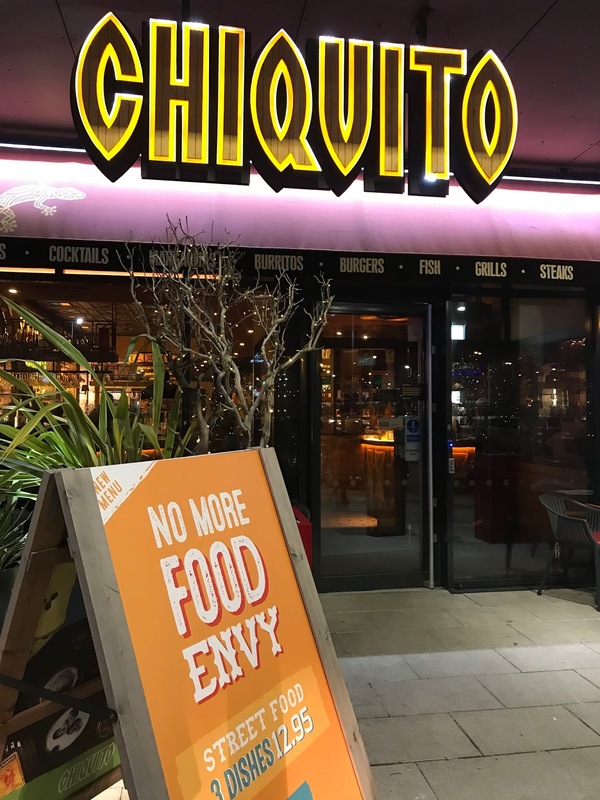 * Thank you to Chiquito for the invite to taste the new menu - all opinions in my review remain my own.